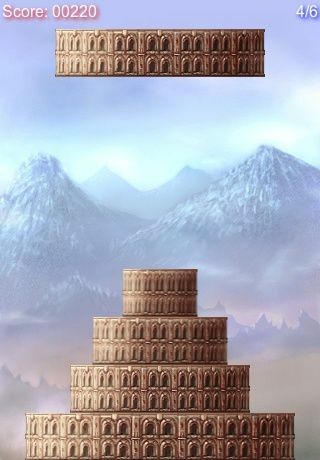 The goal of this arcade game is to build the highest tower of Babel. Blocks will hang from the top and when you tap the screen the block will drop down. You must put smaller pieces on top larger ones, you cannot put larger ones on top smaller ones. Submit your score and compete against the rest of the world.